Sometimes, life is best captured, in blurry iPhone pictures. Being a professional photographer, I am a huge fan of my beautiful photography equipment. However, I have a reluctance at times to tote it around wherever I go. It’s those times, that I join the majority of parents today, and bring out my trusty, iPhone. Because it’s sufficient, and still accomplishes the job of capturing life’s little moments. We had a nice night of memorable moments tonight. 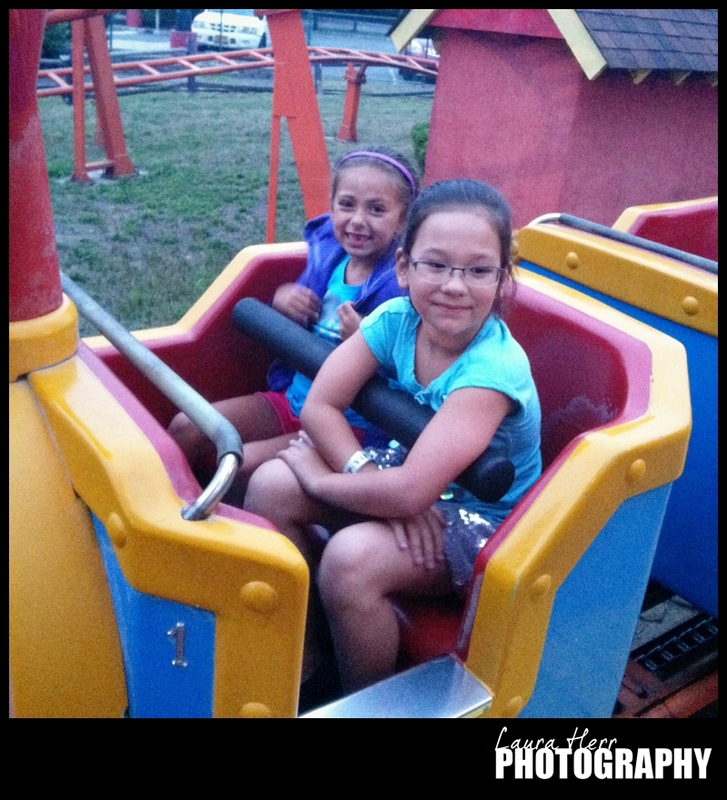 Ellee was invited to her friend John’s birthday party at Boomers. She was delighted to catch up with her school friends for an evening of fun. Taking advantage of a deal on Groupon, I bought a VIP Champ pass for $16.99 and brought Christian along so that he could participate in the fun as well. 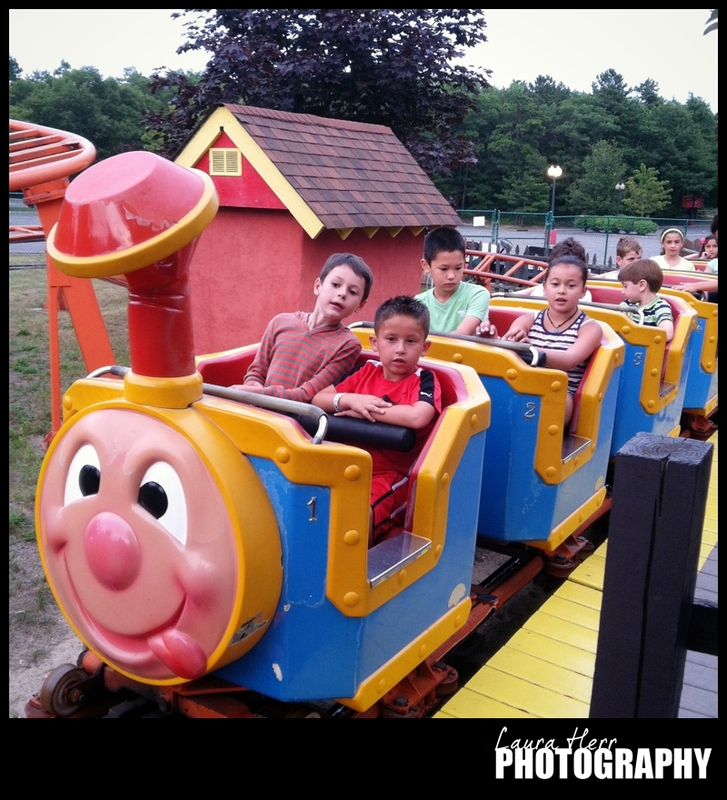 His favorite activity of the night was the go-karts. 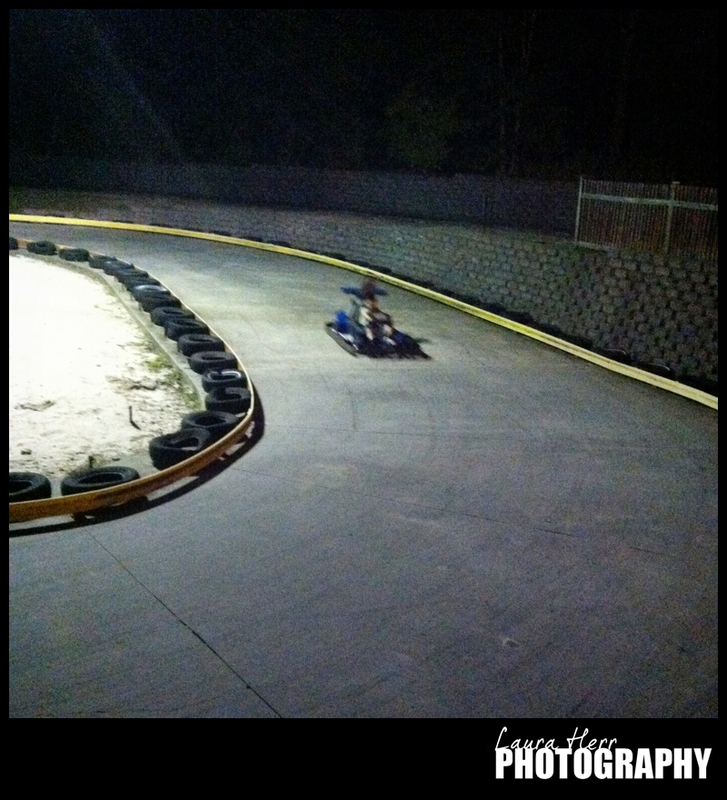 He was tall enough to drive his own and was in all of his go-kart glory. Individual go-kart rides were $7 each, and since he took about 5 different rides, I’d say we easily got our money back. The children mostly enjoyed the outdoor activities, but also had a cupful of coins to enjoy the indoor games with. 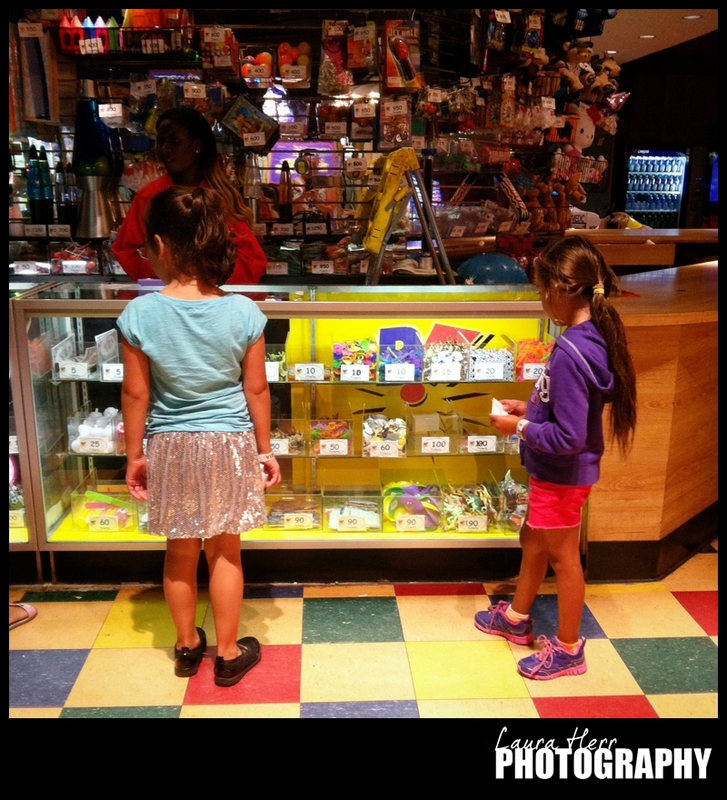 Ellee and her sweet friend ended up with 31 tickets, which was just enough to enjoy a trip to the prize counter. Considering that the fun dips were upwards of 300 tickets, they were limited in their choices. 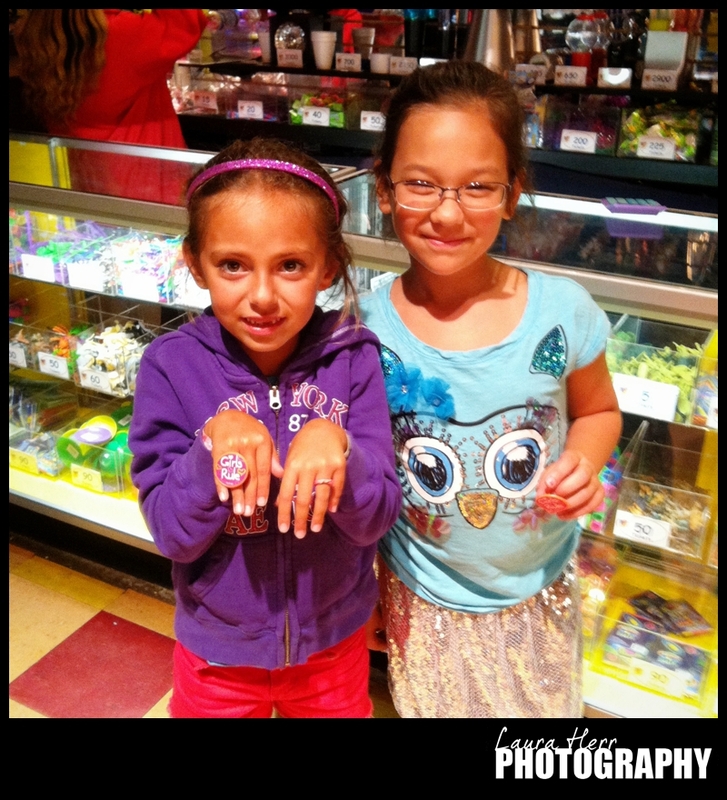 However, they ended up with enough for a few “Girls Rule” rings, and that was good enough for them. Most of the party goers took off around 9:00pm. But considering we had our VIP passes and another good hour of fun in us, we stayed on for some late night activities. Christian was delighted when he got to take a few go-kart laps all by himself, being cheered on by the friendly go-kart operators. I’d like to thank them for their kindness to him as he raced on, because he had such fun and even commented on how nice they were. These siblings got to enjoy some time, just the two of them. They were sweet to each other and it was so nice to see. 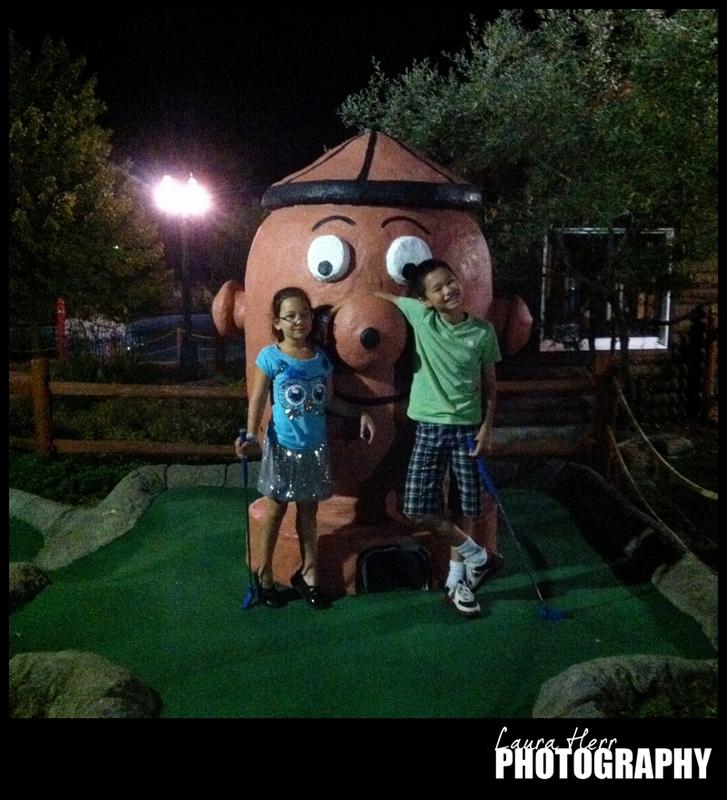 They ended the night with an 18 hole round of mini-golf. Again, it was a well needed time of them getting along and encouraging each other. They also got to hang out with this fire hydrant/tin man/robot guy, which was clearly a bonus and a great way to end the night. 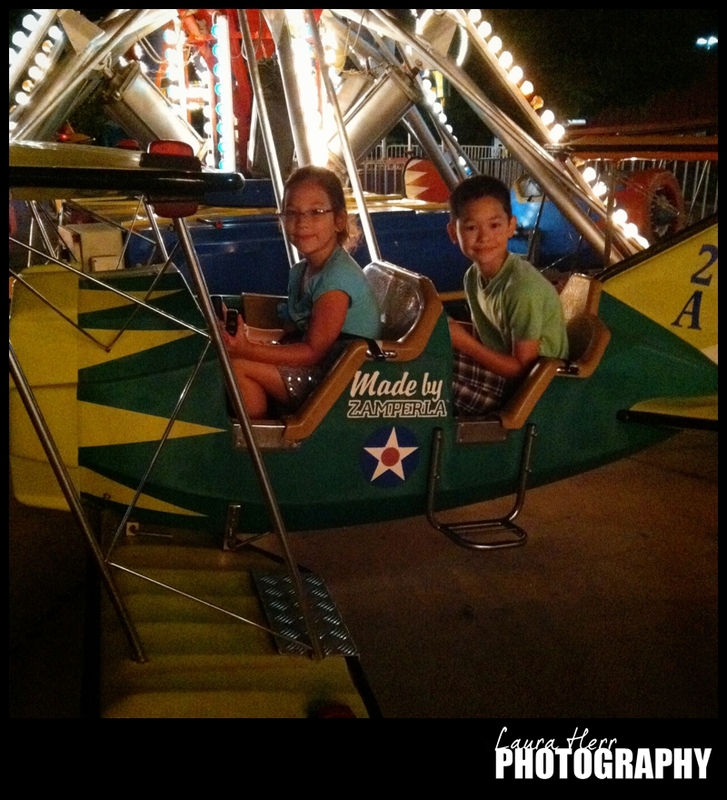 As they golfed, I took a few night time iPhone shots and pondered the peaceful calm of an empty amusement park at night. I also pondered the gratitude that I had for our kids having amazing friends and getting to enjoy such wonderful opportunities. All in all, it was a fun night, beautifully captured by blurry, but memorable iPhone pictures.